Want to run your own job board? 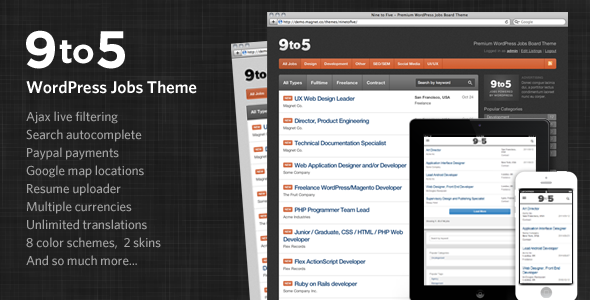 Nine to Five is a clean yet powerful WordPress job theme with 50+ customization options. With Nine to Five you can easily create, manage and earn from your own jobs site. What’s Included? Everything you see in the demo. Unlike many other job boards, no paid plugins are required. 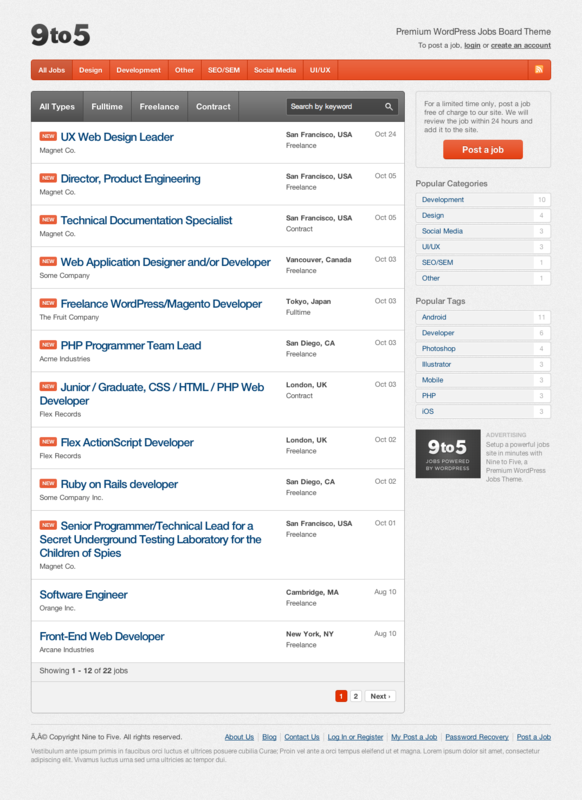 Responsive design: 9to5 lets you show your job listings beautifully on mobile devices including phones (ie. iPhone) and tablets (ie. iPad). Simply toggle the responsive design option on/off in the theme settings to deliver a great mobile experience for your job portal visitors. A mobile ready layout. If you need any assistance with your theme, we offer email support via our website. Submit your ticket using the web form at http://pixelpress.co and we’ll do our very best to answer your questions. 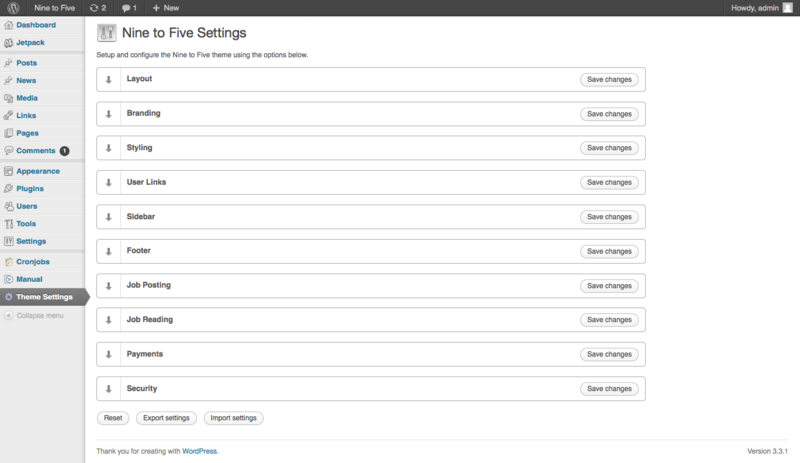 NOTE: 9to5 is intended to be used on a clean installs of WordPress, not existing blogs. If you have an existing blog and wish to use 9to5, we advise installing the theme separately in an alternative directory such as /jobs/. Core refactor, that leads to a bunch of new opportunities, such as easier child theme development.